The weather's been really ugly the last couple of days - rain and more rain is what we had! And I have the feeling temperatures dropped quite a bit too today. It makes me feel like staying inside and cuddling up in the sofa with a book and a hot drink. Unfortunately, there's way too much work to be done for that and a lot of running around too! But last weekend we stayed inside and cuddled up and spent a lot of time in the kitchen which resulted in a batch of yummy cinnamon sugar cupcakes and some really, really good pumpkin soup! And there was even some time left for sewing. Initially, I planned on getting some fabric in Montmartre. Unfortunately - or fortunately - it was pouring by the time I wanted to leave, so I decided to stay home instead and work with what I had. It's actually surprising, the things you can come up with by simply using what you have. The project isn't finished yet, but I'll show you as soon as it is. It will be the first in a row of crafts and DIY ideas I plan on bringing here between now and the holidays - if all goes according to plan that is! It won't necessarily be holiday related crafts, but things you can make anytime and which could make a nice present too. So, if you're still in search of DIY gift ideas, make sure to stop by from time to time and, maybe, there will be something you like! 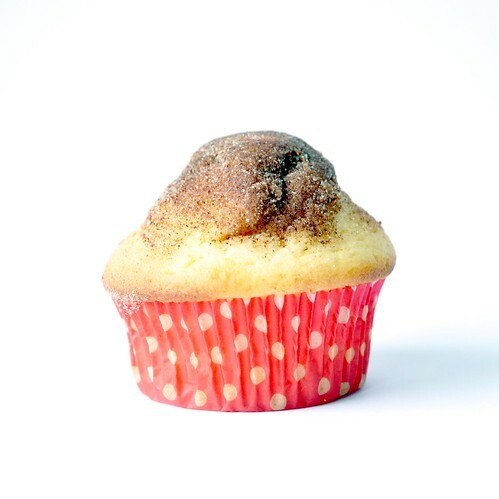 Oh, and in case you're wondering about the muffin: it's the Joy of Cooking 'Basic yoghurt, buttermilk, or sour cream muffin' dipped in melted butter and rolled in cinnamon sugar. They were divine!